On January 23 at approximately 7:40 a.m. Calcasieu Parish Sheriff’s Office deputies responded to a home on Eunice Street in Sulphur in reference to an 8 month old baby boy that was not breathing. Deputies arrived on scene and the baby was transported to a local hospital, where he was pronounced dead. During a subsequent search of the home, detectives located marijuana, methamphetamine, and drug paraphernalia. 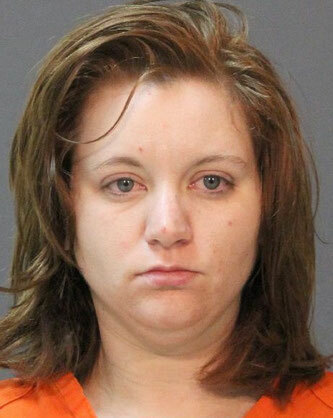 When detectives spoke with the baby’s mother, Lacey A. Blount, 26, 1506 Eunice Street, Sulphur, she admitted to using the methamphetamine and marijuana while she was caring for the baby. She also told detectives while deputies were distracted attempting to perform life saving measures on the baby, she attempted to hide the narcotics in the home. Blount was arrested and booked into the Calcasieu Correctional Center and charged with negligent homicide; possession of CDS I, possession of CDS II, obstruction of justice, and 4 counts of possession of drug paraphernalia. Her bond has been set at $12,000 by Judge Ron Ware. The cause of death is pending the coroner’s investigation. CPSO Detective Keeba Barber is the lead investigator on this case.